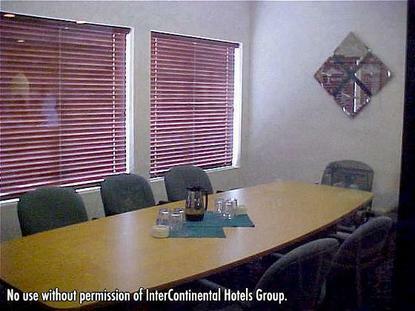 Welcome to Holiday Inn Houston Northwest- Willowbrook hotel We are proud to be a smoke-free facility. Located in the Technology Corridor of Houston, minutes from Hewlett Packard and only 20 miles from Downtown Houston and George Brown Convention Center, the Holiday Inn Houston Hotel offers superb location with exceptional service. We invite you to experience our 155 newly remodeled guestrooms and suites, offering one of the best accommodations in Houston. Essentials for business travelers include a business center, complimentary High Speed Internet Access, fitness center, full-service restaurant, Priority Club Rewards Program. We&regre also minutes from International businesses, restaurants, and entertainment venues, including several shopping options. Indulge in all-day shopping at Willowbrook and the Galleria Mall. An active day at Aerodome Ice Skating rink and great entertainment at Sam Houston Horse Track is the perfect local venue. Take a trip to space by visiting NASA Space Center or simply relax in Galveston, TX. A visit to the space city is not complete until you catch an Astros game at Minute Maid Park, a Texans game at Reliant Park, a Rockets or Aeros game at the Toyota Center. We&regre also just 18 miles from George Bush Intercontinental Airport and 30 miles from William Hobby Airport. We&regre sure you will agree that the Holiday Inn Houston Northwest- Willowbrookhotel is one of the best hotels around Houston. This hotel is committed to providing accessible facilities under the American Disabilities Act. If your accessibility needs are not met, please contact the Hotel Manager on Duty. Should you require additional information regarding accessible facilities for guests with disabilities, please call 1-800-Holiday (U.S. and Canada) or contact the hotel directly. For the hearing impaired, TDD service is available at 1-800-238-5544 within the U.S. and Canada.